Currently the holiday is on the second Monday of the month. 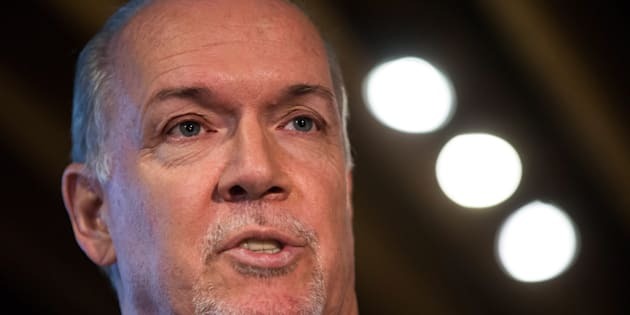 British Columbia Premier John Horgan announces changes to the province's minimum wage, at a coffee shop in North Vancouver, on Thursday. VICTORIA — British Columbia is falling into step with the rest of the country by moving its Family Day to the third Monday in February, starting next year. Premier John Horgan says the change is meant to better align the holiday with other provinces to help businesses and families. Family Day was established in British Columbia in 2013. The government at the time decided to mark the holiday on the second Monday, despite the fact it was out of line with similar holidays in other Canadian provinces and the United States. Horgan has mused about changing the date before. Green Leader Andrew Weaver has always backed the move, even introducing a private member's bill last year to amend the law. In bringing in the bill, Weaver highlighted a petition by the founder of a campaign called #UniteFamilyDay that had more than 20,000 signatures. Horgan says the change will benefit small and large businesses, and families spread across the country. "This gives families an opportunity to schedule and spend more time with loved ones from other provinces," he said in a statement. A government news release on Friday announcing the change included the support of the CEO of the Surrey Board of Trade. "The misalignment of Family Day causes inconvenience, increased costs, and lost opportunity for businesses of all sizes and in various industries," said Anita Huberman. "The economic benefit from this change will greatly assist our members, and especially small- and medium-sized businesses, across the province." The Liberals brought in Family Day and criticized the NDP government for moving it, arguing the date helped tourism in the province. "The B.C. Family Day weekend has become one of the top performing business periods of the year for many B.C. ski destinations," Liberal critics Michelle Stilwell and Doug Clovechok said in a joint statement. "The absolute lack of consultation is a slap in the face to the sector and highlights the NDP's priorities, which clearly aren't British Columbian jobs."